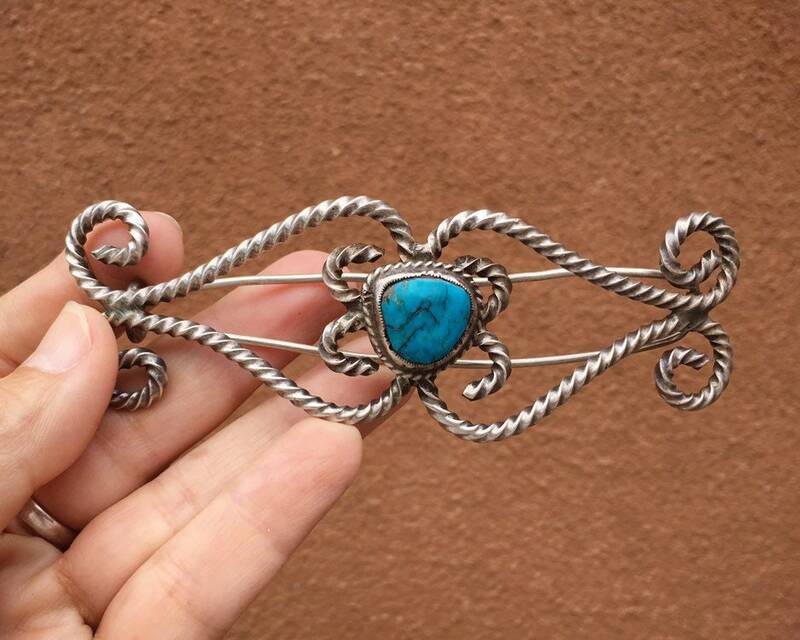 This vintage hair barrette is truly one of the most unique pieces of Native American jewelry I've ever seen. 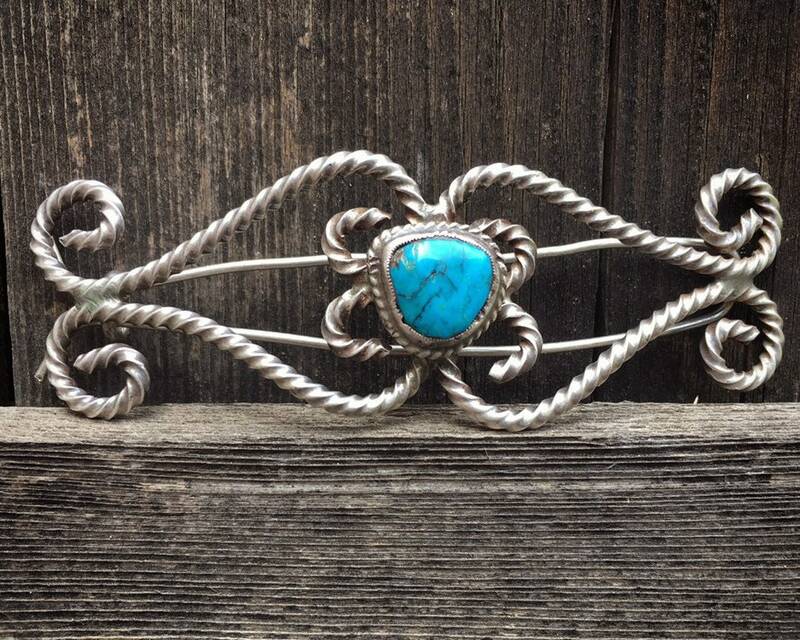 It comes from an old Taos, New Mexico estate, and it's made with sterling silver twist wire that has been shaped by hand. 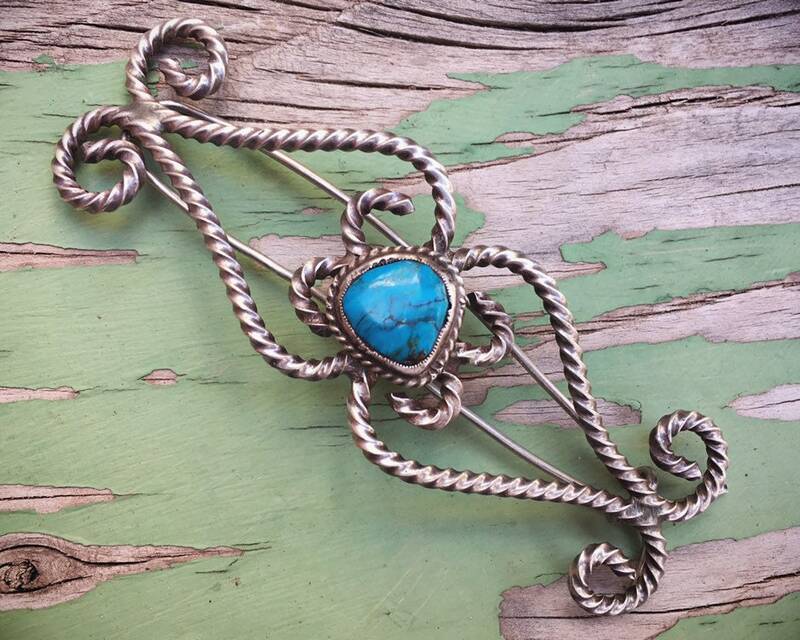 The final shape has flourishes, both around the stone as well as at the ends. 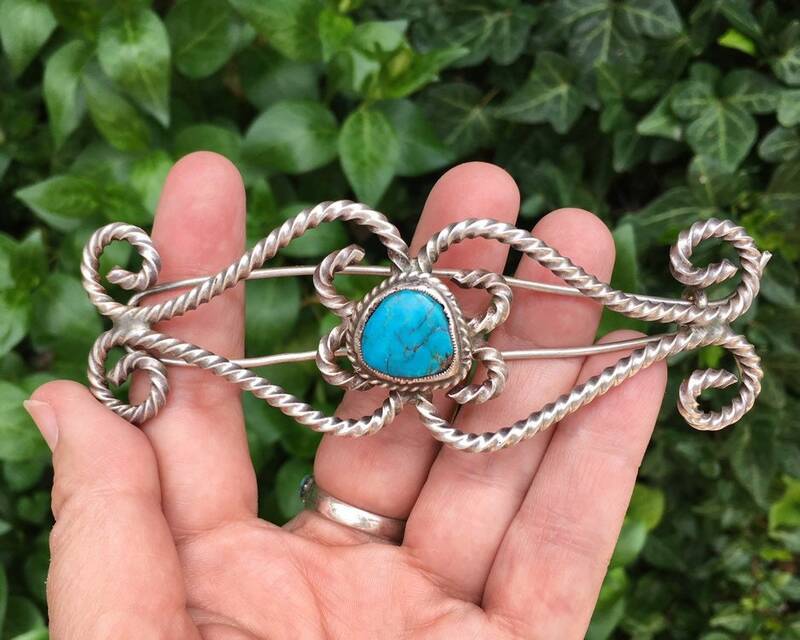 The turquoise stone is deep blue-green. 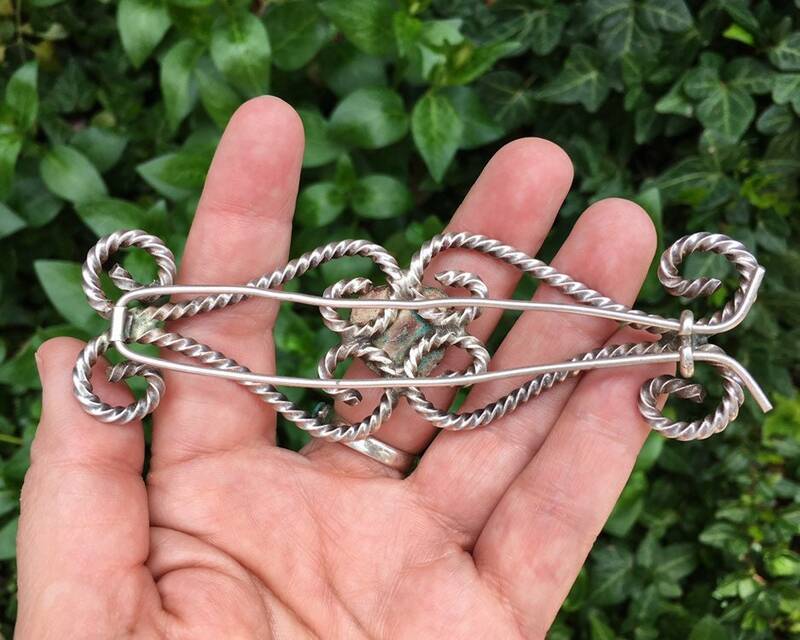 The wire clip on the back is also all hand shaped. 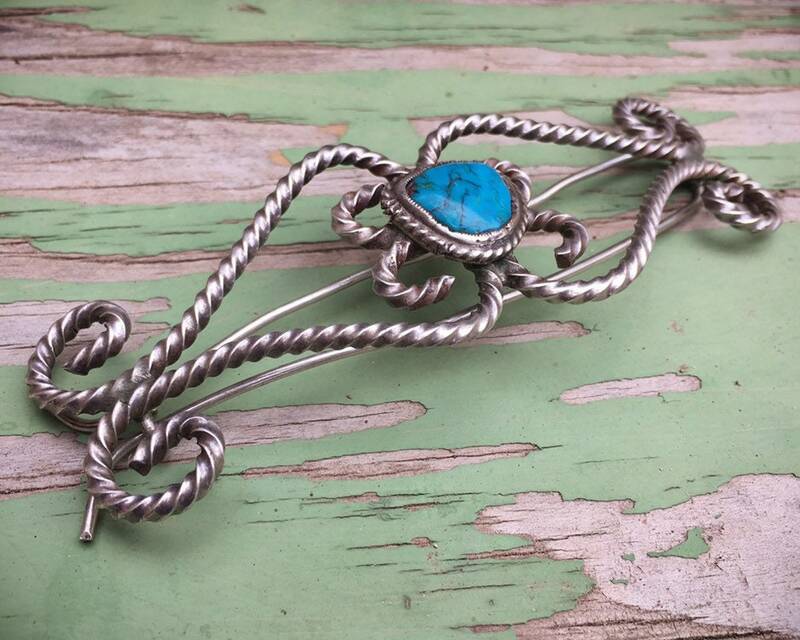 The barrette is wide, and I believe it was meant to be worn not to hold a pony tail or bun but rather to hold up a smoothed area of hair on the side of a bun. Measures 4-1/2" across by 1-1/2" tall. Weighs 46g. 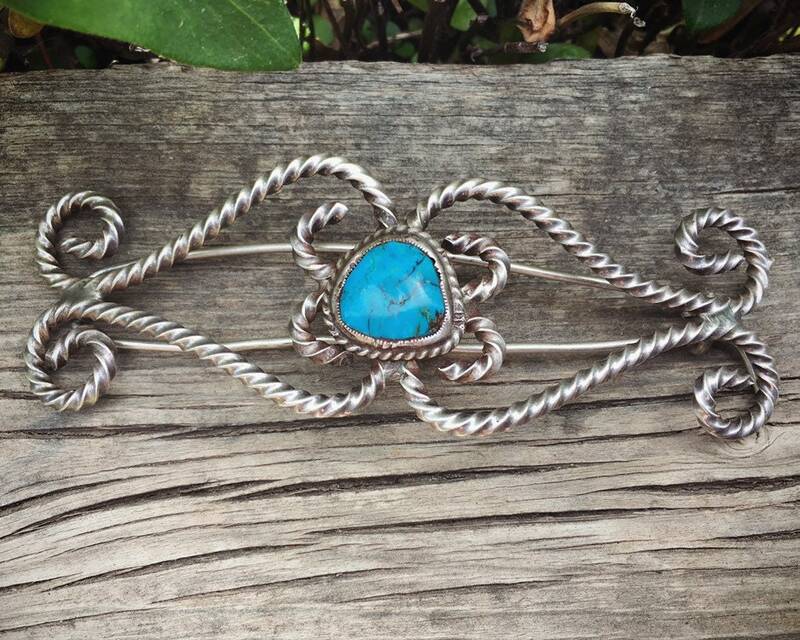 The wire on the back is not perfectly straight. Otherwise in good vintage condition.